The chart to the left shows how fabric weight and fabric density are related. 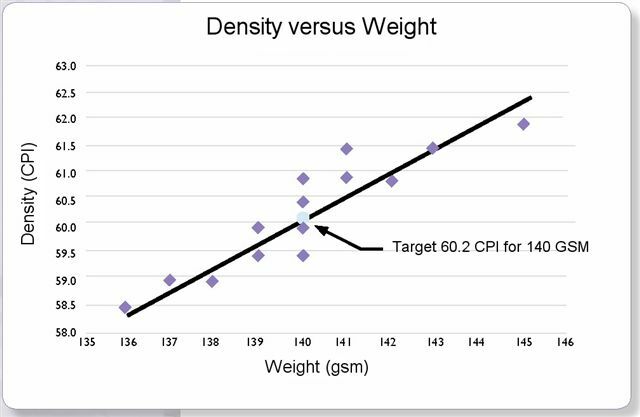 As fabric density increase (CPI or PPI), the weight of the fabric (GSM) increases. Using the data from a continuous density measurement system to set up and adjust a finishing machine, the desired weight can be obtained - every time. Copyright 2011 - Automation Partners Inc.